The Pacific Northwest is the birthplace and permanent residence for foggy riding conditions. If it’s not actually foggy outside, the climatic variables will align such that your eyewear will fog at some point on your ride without question: the humidity level is just right, the temperature moderate, the soil moist, the foliage plentiful and the clouds are often low. This makes for the perfect proving grounds for so-called anti-fog lens technology. Ryders Eyewear introduced their version of an anti-fog lens this year with new and promising features: anti-fog, photochromic (changes tint in different light conditions), hydrophobic (water repellant) and scratch resistant all in a tidy $130-$140 package. The glasses tested are called the Thorn. They have a square shape with a fully enclosed lens and large earpieces. Matte black or matte white with orange are the frame color options. Technically speaking, the glasses are fairly advanced. Rather than applying a coating to the lens, the anti-fog is actually embedded into the back of the lens then covered with a scratch resistant coating. "The anti-fog is protected with a scratch resistant layer, making it permanent and washable. Unlike the anti-fog you might find on ski goggles, ours isn’t at risk of being damaged by scratching or cleaning it," offers Michael Sammut of Ryders Eyewear. Additionally, "the front of the lens has a hydrophobic coating to repel water. This dual nature of the lens makes it different than any lens on the market." 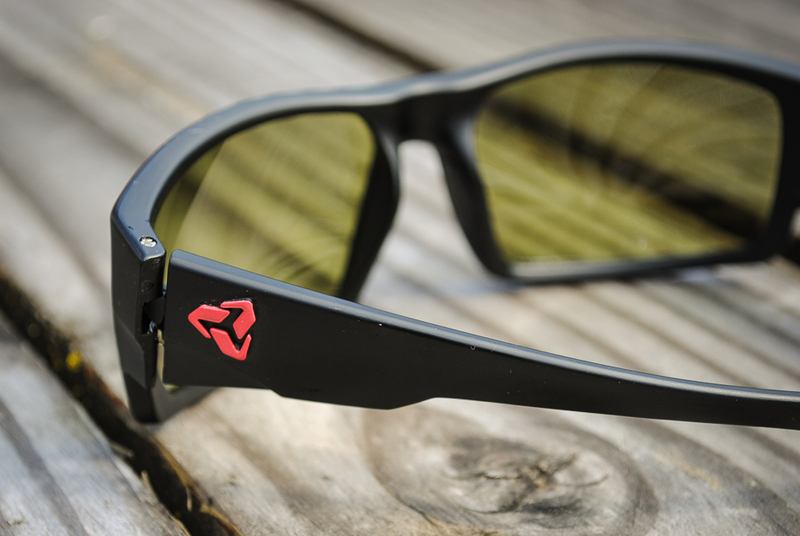 As if these two features weren’t enough, Ryders also made the lenses photochromic for the constantly changing light conditions of riding in and out of the forest. The light transmission range is broad, 27% at its lightest and 76% at its darkest. The lens tint is yellow and offers nice contrast in low, flat light conditions. 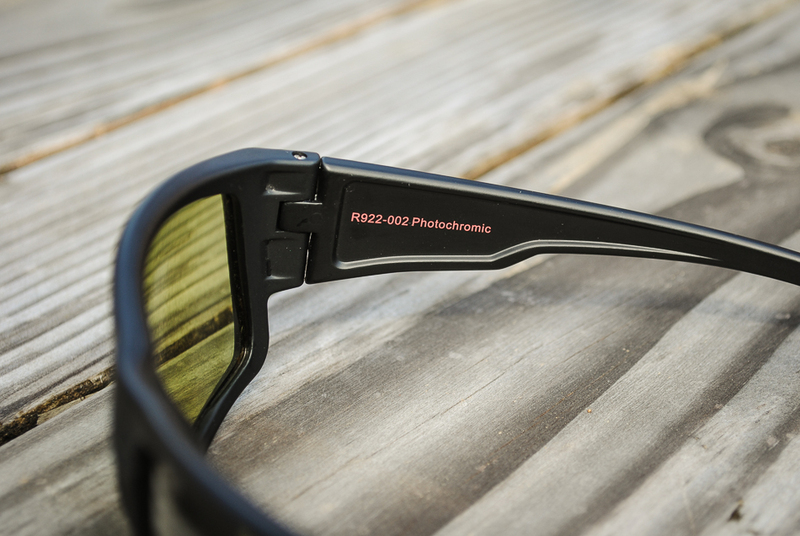 The frame of the glasses is made of a durable thermoplastic called TR90 and the lenses a shatterproof polycarbonate. This same material is found in other household items like riot shields and astronaut helmets. So, do they work? In over 30 rides of various length in nearly every imaginable weather condition I could never get the lenses to fog. Not even a little bit. I even purposefully altered my ride in order to exaggerate prime fog conditions by over dressing, sprinting up a hill then coming to a complete stop. No fog. 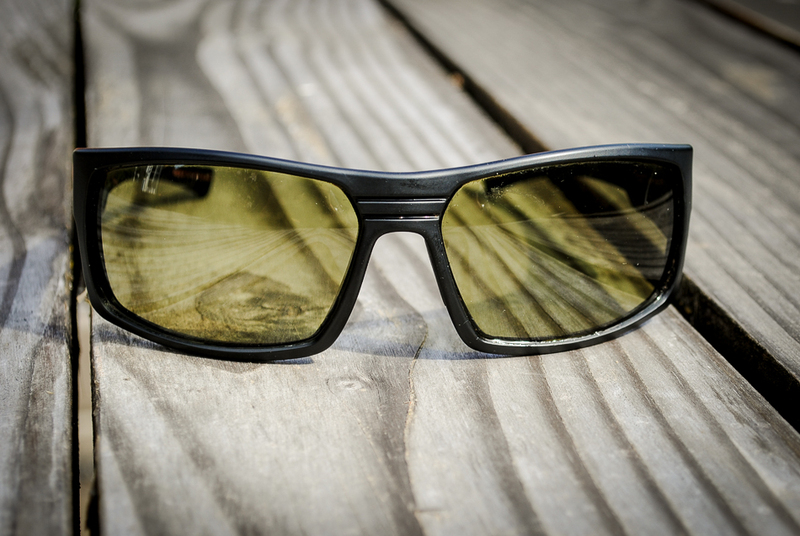 This is a pair of glasses you can wear for the whole ride and never think about them–up the hill, in the woods, through the sun-exposed sections and back to the trailhead. On really wet days with mud blobs flying everywhere, a quick wipe of the outside of the lens with a gloved finger was surprisingly effective at clearing the field of vision. The hydrophobic qualities never allowed raindrops or mud specs to streak or spot the lenses even in the heaviest of rain showers. The inside of the lens did streak with sweat but never in a way that hindered vision. I could tell there was sweat on the lens but could easily wait for a stopping point to wipe it clean. With any performance glass that sits close to the face and offers adequate coverage, sweat on the inside of the lens is unavoidable. The Thorn does a great job of mitigating blurriness and smudges. The glasses fit my face and head very well. They feel light on the nose with great grip and no pinching or sliding around. The coverage is very good: no errant trail bits snuck around the lenses and into my eyes. Remarkably, the Thorn model fits perfectly with a Bell Super helmet (at least on my head), a lid specifically designed for goggles. If I have one negative thing to say about the Thorn glasses it would be the styling: it’s not my favorite. But if the only bad thing I have to say is that they don’t mesh perfectly with my delicate fashion sensibilities, especially given all the important other aspects of the glasses, then Ryders is doing a lot of things right. 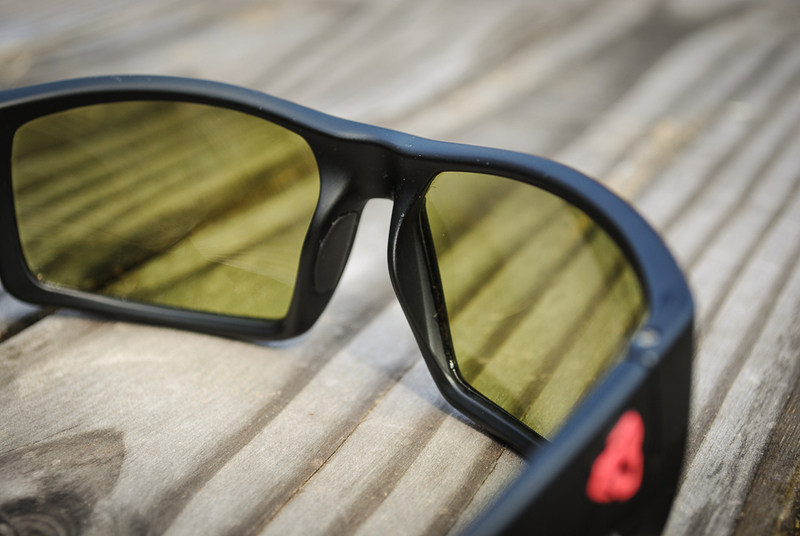 Plus, there are several other frame styles to choose from with the anti-fog treatment. 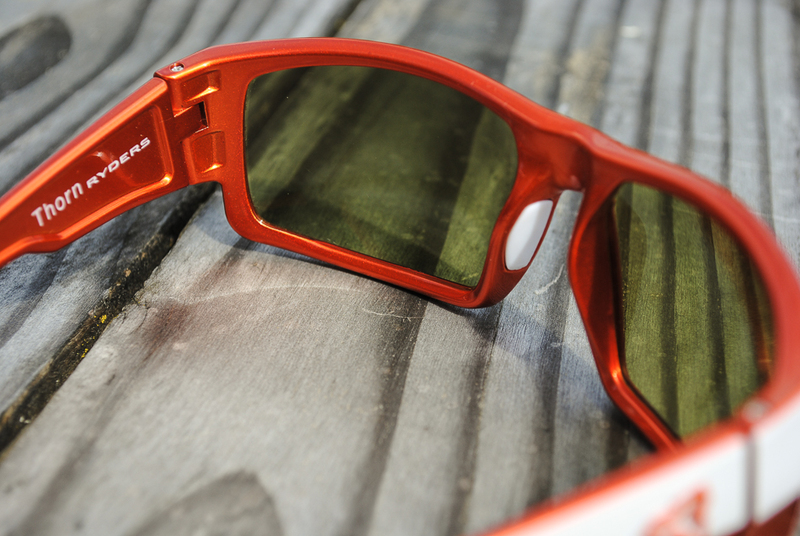 As far as I'm concerned, these are truly great trail glasses.